A new study has shown that people that are infected with the herpes simplex virus are at a greater risk of acquiring Angina. 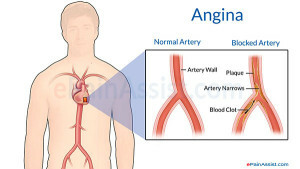 Angina is a medical condition characterized by chest pain that is caused as a result of clogged blood vessels. Canadian researchers discovered that people having the virus strain in their DNA were three times as likely to get infected compared to others. This refers to roughly 1 percent of the people carrying the herpes simplex virus. Louis Flamand, co-founder of this study and vice chair of the department of Microbiology-Immunology at Laval University, Canada states that there is absolutely no way to get rid of the adverse genetic condition as it is embedded in the person’s DNA. However, “as a preventive measure, subjects could be monitored more closely for the development of any cardiovascular diseases,” he added. More : Are People Living With Herpes Likely to Get Alzheimer’s? Flamand also said that certain tests should be added to the list of genetic tests performed on every newborn, given the fact that testing has become very easy and affordable. It is said that the medical adversity can develop before conception, when the sperm or egg gets infected by the herpes simplex virus. This results in a condition known as Roseola. In such event, every cell in the individual’s body carries a copy of the virus. Can Herpes Virus have an impact on your Brain?